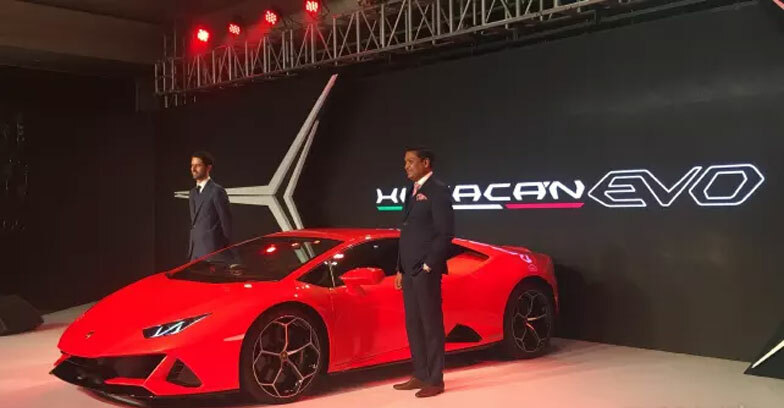 Lamborghini India has launched a performance-oriented Lamborghini Huracan Evo, priced at ₹ 3.73 crore (ex-showroom, India). 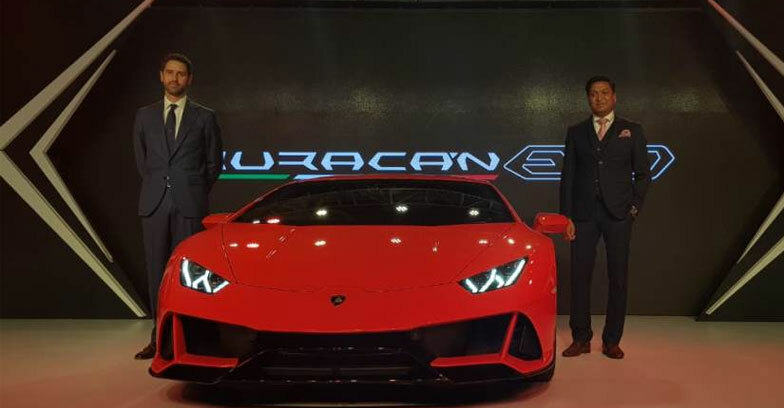 This is the first public appearance of the Evo,after got unveiled in Bahrain.The new version comes with improved visual updates in aerodynamics.Moreover,this is the for the first time, Lamborghini has introduced a touchscreen infotainment system in the Huracan with the Evo. At the rear, there is a bigger diffuser which sports two large, round exhaust ports, one on either side of the license plate housing and a sharper lip spoiler in a bid to improve the downforce drag. The new Huracan comes with Y-shaped spoke alloy wheels.A slight rear air-vent is also a notable modification.It is now equipped with a larger 8.4-inch touchscreen unit offering Apple CarPlay and has more internal storage. The system also comes with smartphone integration, voice command and navigation but dual camera telemetry and hard disk come as an optional extra. 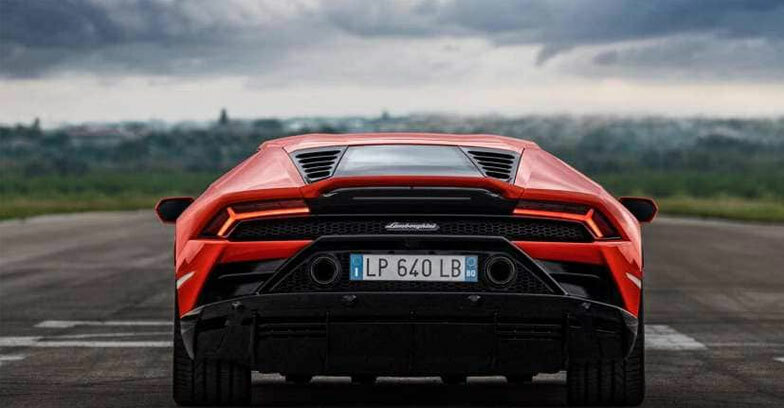 In turn, Lamborghini has also worked on the torque-vectoring system in a bid to maintain the stability and agility even better by sending just the right power to the opposite wheels while cornering. This is further complemented by an improved steering system. 5.2-litre V10 engine, it’s been tuned to churn out 28 bhp more at a staggering 631 bhp and a heavy peak torque of 600 Nm. Where the standard Huracan takes 3.4 seconds to do the 0-100 kmph sprint, the Huracan Evo does it in just 2.9 seconds, making it 0.5 seconds faster. Furthermore, 0-200 kmph is achieved in 9.0 seconds, while the top speed is clocked at 323.5 kmph. The Evo might be the last major update for the Huracan until its replacement arrives in a couple of years’ time. What if our oceans look green after 100 years?